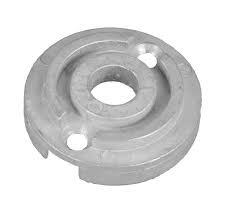 Watson Marine boasts one of the largest ranges of zinc anodes on the coast. With a massive variety of rudder, transom, levi drive, prop nut, engine, shaft and thruster anodes, there is sure to be the correct one to suit your vessel. 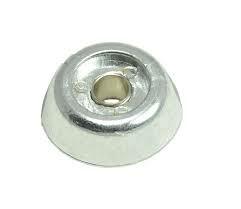 All Watson Marine anodes conform to the relevant designations of Australian Standard # 2239. All our anodes are reasonably priced & are available to be shipped / couriered if your vessel happens to be hauled off site or you are one of our valuable interstate customers. It is crucial as a boat owner to understand the importance of having the correct anodes on your vessel. 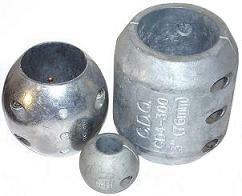 Anodes are designed so corrosion will affect the anodes and not the boat, to help eliminate electrolysis. 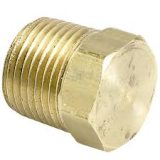 Protect your investment and check your anodes are in working order today.